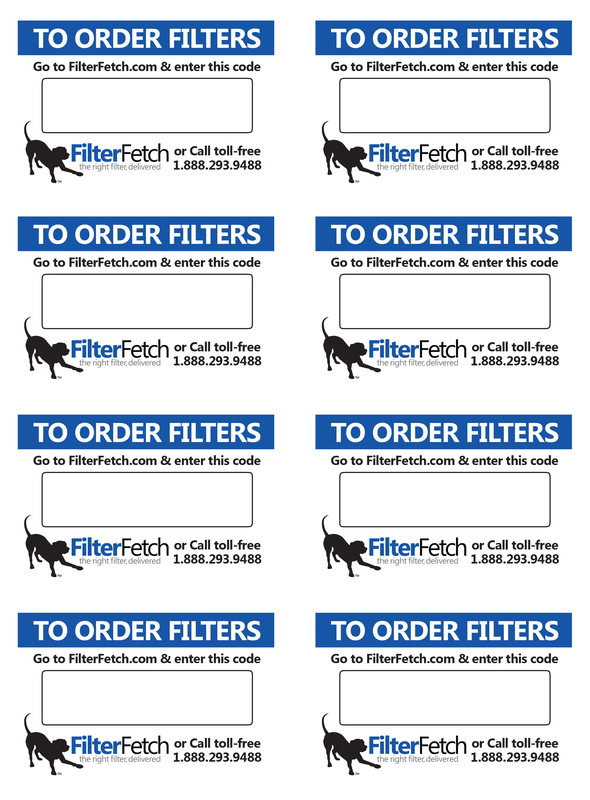 Filter Fetch™ Stickers are available for purchase. You may also download the template from the documents tab and use it to work with your local printer. Finally, there is also an Avery label template that you can download and use to print on the appropriate Avery label form.